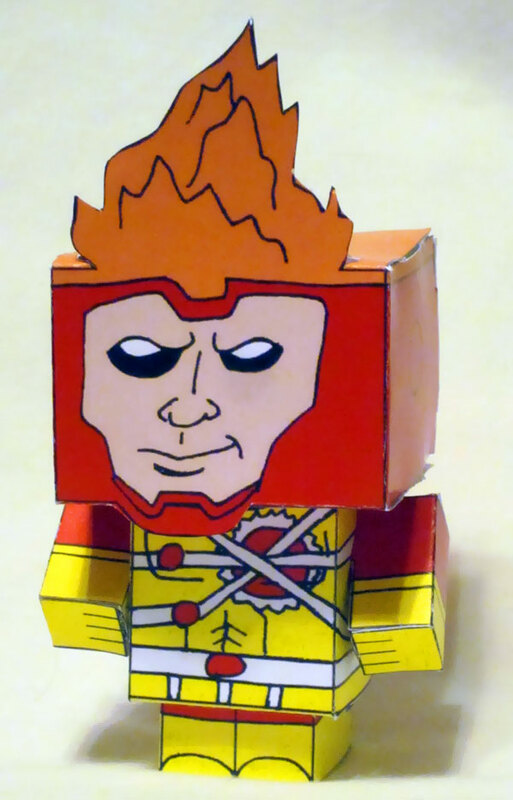 Check out this adorable, do-it-yourself Firestorm! It’s called a Cubee and is made entirely from folded paper; no tape or glue necessary! There are zillions of different Cubees out on the interwebs. This particular one was designed by Joshua Wolf. 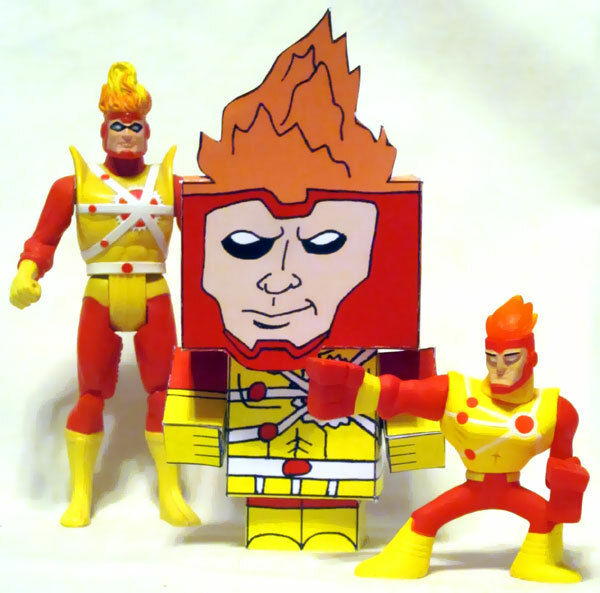 To provide a sense of scale, below is the Cubee along with the Super Powers Firestorm and the Action League Firestorm. 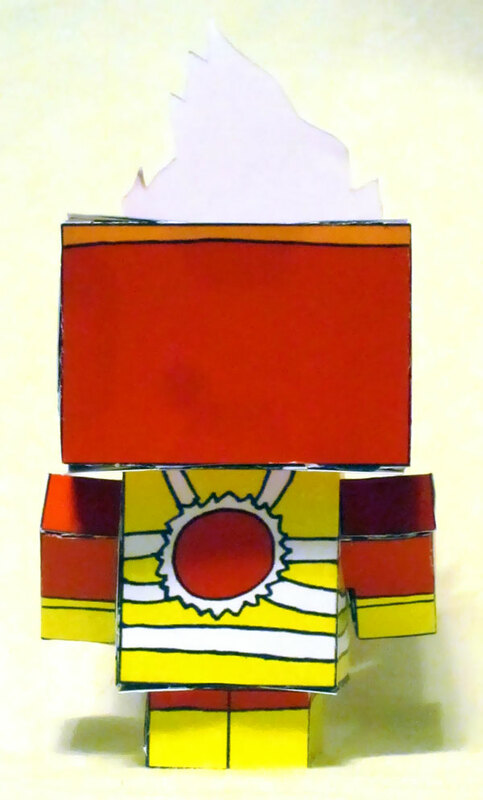 Download your own Firestorm Cubee when you visit Joshua Wolf’s deviantART page. Then print the graphic in color on heavy stock paper. Cut, fold and assemble your very own! 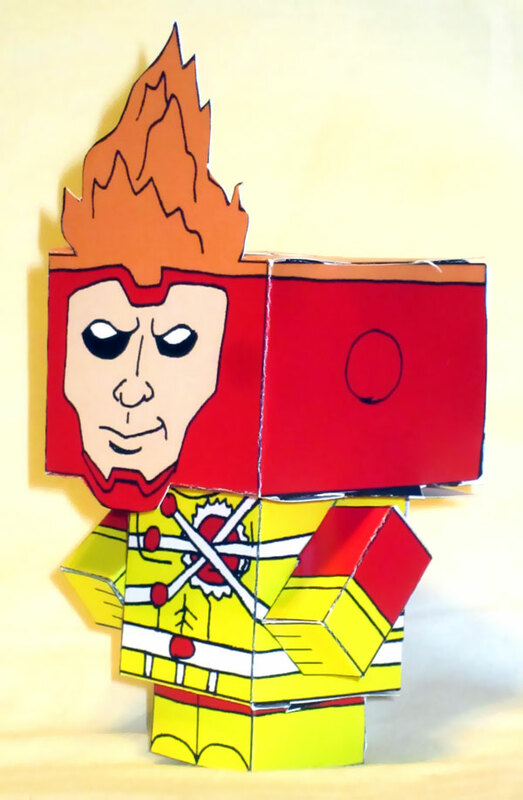 Also, visit Joshua Wolf’s blog where he publishes tons of other superhero Cubees. Posted in: Firestorm #01: Original (Ronnie/Martin), Toys. These are great. I’ve got a Blue Lantern Flash and old-school Cylon on my workdesk. Hey man!! Thanks for the post!! Always love sharing my Cubees with people!! And (of course) be expecting Jason by the end of the year… ;^) (also planning Martin Stein as the Elemental Firestorm, but that may be a next year Cubee).